Birding in the Indiana Dunes is the best the state has to offer. With its rich biodiversity, varying habitats and miles of Lake Michigan shoreline, the Indiana Dunes is a hotspot for migrant birds. 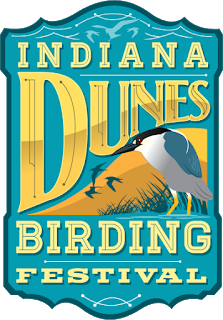 The annual Indiana Dunes Birding Festival is held to celebrate the dunes area’s various birding habitats and bird watching opportunities to create a positive impact on the economic, conservation, and environmental education for visitors and residents to the Indiana Dunes region. See our Current News for the latest updates on the upcoming year's festival!